‘The Iron Lady’ tells the compelling story of Margaret Thatcher, a woman who smashed through the barriers of gender and class to be heard in a male-dominated world. The story concerns power and the price that is paid for power, and is a surprising and intimate portrait of an extraordinary and complex woman. 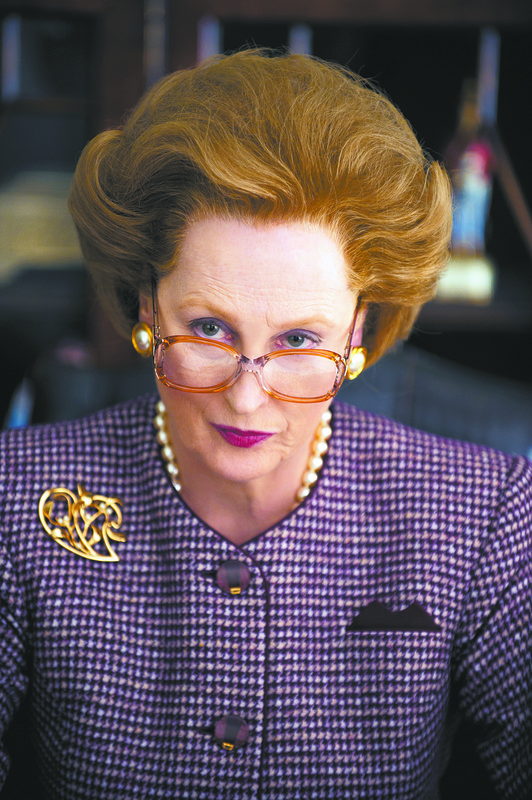 What was your initial response when director Phyllida Lloyd approached you to play the role of Margaret Thatcher? When Phyllida told me she had a film that circles Margaret Thatcher’s life and the issues around a woman leader, I was immediately interested. There aren’t many women leaders; there aren’t many filmmakers who are interested in what it means to be a woman leader. To think about the barriers that Margaret Thatcher broke through to become the leader of the United Kingdom was to put yourself in the head of a woman in the late 70s, when she really emerged as the leader of her party. And I keep trying to tell my daughters how different the world was then, yet how similar some things remain. She entered a boys’ club – an upper class world – and grabbed it by the scruff of the neck. Regardless of one’s politics, that’s a significant achievement? For me as an actor, just walking into the first day of rehearsal was incredibly daunting because there were all these wonderful British actors – and I think there were about 40 or 45 of them – and I was the only woman in the room and I sort of had the feeling Margaret Thatcher must have had when she walked into the Conservative party meetings. The days that we were shooting in Parliament, or we were re-creating Parliament, were very interesting because how one dominates a room, how one pulls a listening audience in to persuade them of some matter of policy is something that we still struggle with as human beings. I’ve watched women directors struggle with trying to be the commander. And women leaders – we’re not quite comfortable yet with this idea. Margaret Thatcher really did break ground in that she showed a way in which a woman could be a leader; she didn’t have a problem with how to lead, and so in a way, men didn’t have so much problem knowing how to follow. I think when women are uncertain as to how to lead, or they’re worried about how they’re perceived or they’re worried about losing femininity, their leadership skills suffer. Two themes that emerge are having love and then losing it, and having power and then losing it. Which of those two themes was more important for you? I think if the film succeeds, it succeeds because certain very pressurised and important and tension-filled moments of her political life are given equal weight with moments in her personal life that also had great reverberation for her as a human being. So we are trying to make a film about a whole human being. The film is surprisingly non political. Do you think people will be surprised by that? I didn’t come into the film with a political agenda about Margaret Thatcher. I honestly knew shockingly little about her policies. I knew that they were in line with many of President Reagan’s policies, with which I was more familiar, but she wasn’t in line with all of his policies. So, it interested me less what line she toed and more what was the cost of her political decisions on her as a human being. What we tried to represent as accurately as we were able was why she was detested for her policies and also why many people thought she was great for her political choices.